Dancing your way through the summer is wonderful way to stay active and enhance creativity, discover your love of dance, or continue to grow and improve your practice. At YDA there is a camp for everyone! Please see below for our 2019 summer camps schedule and give us a call to express your interest. Looking for evening classes? We have those too! 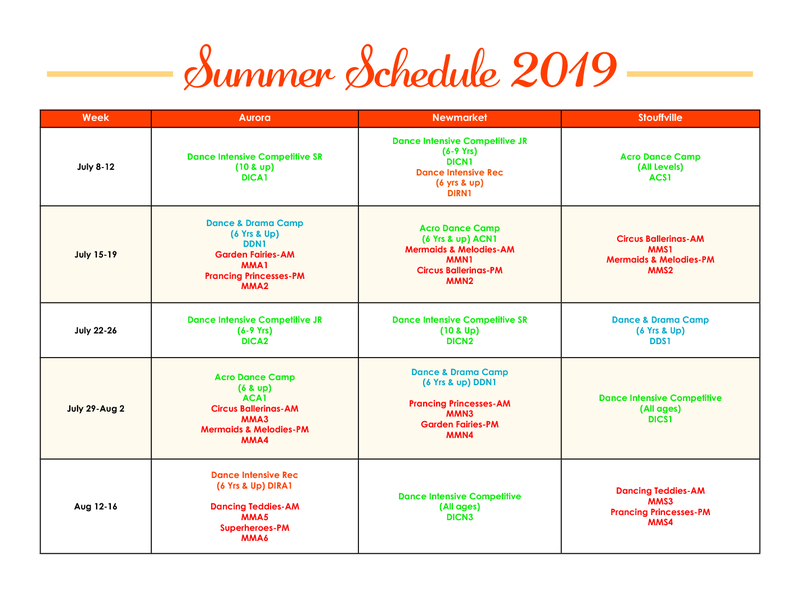 Summer evening classes keep you dancing with a busy daytime schedule. Stay tuned – evening class schedule will be coming out shortly. *Please note: attending 1 week of dance intensive summer camp, minimum, is a requirement of the competitive team. Feel free to contact us with any questions. Stay tuned - the summer evening class schedule is coming soon!